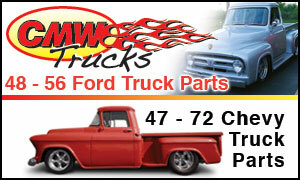 You will not find a better deal on a more solid truck for close to this price. Unless the truck is marked sold, it is still for sale! 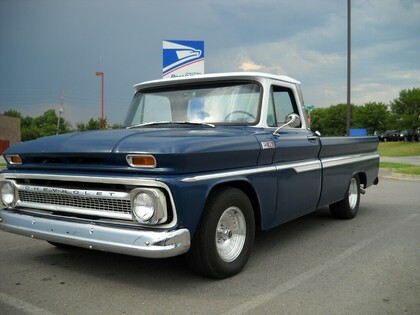 Excellent Condition long bed fleetside '65 Chevy truck, big back window. Major attention getter where ever it goes. 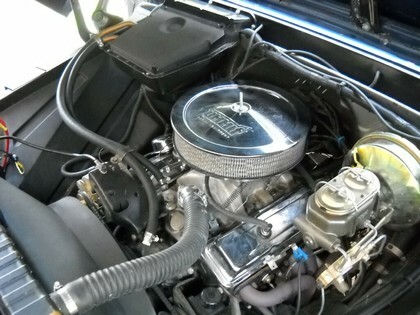 Newly rebuilt 327 Chevy engine and TH350 automatic. 12 Bolt Rear End. Dual exhaust. Nothing leaks, great sounding truck. Very solid throughout. 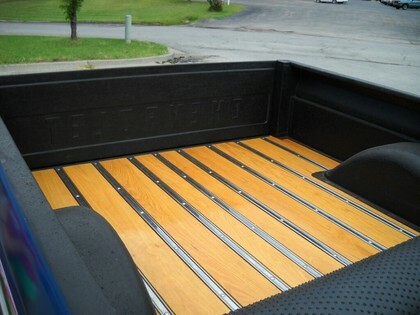 Solid floors, cab corners and frame, see pictures. Power Steering, Power Brakes (drum rear, disk front), excellent heater, all lights, gauges, turn signals, windshield wipers, horn, etc. work. Lowered with lowered coil springs front and back. New wheels, tires, gas tank, shocks, most of the chrome, weather stripping, wood bed, Kevlar bed liner inside the bed walls and roll up bed liner for the bed floor, plus lots of other misc. parts. Pioneer stereo/CD player with four hidden Pioneer and Kenwood speakers. Doors, tailgate, glove box, and hood all open and close as they should, very solid. 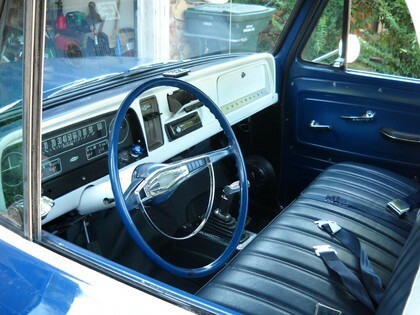 All glass is in great shape, and windows roll up and down solidly. This truck is a great driver as is. 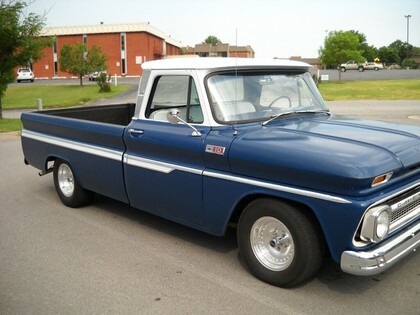 If you want a solid 64-66 Chevy truck, this is it. Additional pictures at: http://s1215.photobucket.com/albums/cc510/rgphotobucket/ First with cash in full takes it. Bank Wire can be arranged. All checks/money orders must clear my bank. Reasonable offers are gladly accepted. Free and clear Oklahoma title. Contact me to arrange to see and drive it. These old trucks are just going up in price. NADA price guide figures: Low retail $9,350.00, Average Retail** $16,400, High Retail $37,500.